Sharpes of Nottingham is proud to present our National and Continental private hire coach fleet, we can offer a UK day excursion programme, UK and Continental holidays, we can also cater for private group packages, contracts and PSV and HGV maintenance. Our Corporate, Executive and Standard coaches are all fitted with seat belts, ranging from 17 seats right up to 83 seats. Our platinum class vehicles are of a high specification, all posing climate control, hot and cold drink facilities, toilet/wash room, Multimedia Systems ( non copyright media purposes only), P.A system, luxury reclining seating, Wi-Fi and extra leg room. We have two coaches with wheelchair lift facility, capable of carrying up to 10 wheel chairs fixed in the vehicle or may be just use the lift for easy access to the vehicle, please ask our private hire team for more details. The majority of our excursions and all the holidays are escorted by a hostess service; this can also be arranged for any private hire. Take advantage of our extensive knowledge and experience in organising your guided tour to any part of the UK or continent including WW1 and WW2 tours. Over the past years we have catered for many different types of private hire, school trips, gardening clubs, shopping outlets, market days, seaside resorts, weddings, birthday parties, funerals, sports, corporate and airport transfers or if you are looking for that group holiday away, let us organise the hotels, ferries, theatre tickets, nothing is too much trouble for our experienced team. For more information please contact our Head Office on 0115 9894466 or email enquiries@sharpesofnottingham.com. In Corporate Travel, first impressions are lasting impressions, and this we feel is crucial to success in today’s business world. At Sharpes of Nottingham, each one of our Corporate Coaches has sumptuous interiors, and is the last word in luxury travel. Each coach is fitted with full kitchen facilities which is located to the rear of the saloon, we feel that this configuration is supreme for the corporate travel experience. Immaculately Presented Coaches and smart courteous uniformed drivers are a prerequisite. Organising your corporate coach hire with Sharpes of Nottingham will mean you and your Clients will enjoy the highest level of luxury travel whilst on board. We are experienced in arranging all aspects of your journey requirements; from conference facilities, to excursions, restaurants and hotels. Let our dedicated and experienced coach hire reservations team help you make the arrangements. They can give you advice on planning itineraries, routes and travelling times. They can also make recommendations on the type of Coach that best suits your corporate business requirements. Sharpes offer a coach service for groups that require transport to wedding venues, get your party to arrive at the right place at the right time hassle free! Planning a wedding always involves numerous decisions. At Sharpes of Nottingham, Hiring a Coach to transport the wedding party is an easy decision that can help avoid the last minute panic of how friends and family are going to get to the ceremony on time. Sharpes of Nottingham Coaches are always immaculately presented and can be decorated with bows and Fresh flowers which can be matched to your chosen colour scheme, if required. The bride and groom may prefer to join in the wedding party atmosphere and travel on-board the Coach to the reception, rather than in the isolation and added cost of a wedding car. Extreme Pride is always taken in the appearance of our Coaches, their qualities adding to the ambience of your special day. Let our dedicated and experienced coach hire reservations team help you make the arrangements. They can give you advice on planning itineraries, routes and travelling times. At Sharpes of Nottingham we can offer a Vintage Bus or Coach service for your quintessential wedding, adding the wow factor and arriving at your venue in vintage style. Planning a wedding always involves numerous decisions, hiring a Vintage bus or coach to transport the wedding party is an easy decision to make, helping to avoid the last minute panic of how friends and family are going to get to the ceremony on time. Our award winning vintage buses and coaches are very much apart of the Sharpes family, they are always immaculately presented with fresh flowers and bows which can be matched to your chosen colour scheme. The bride and groom may prefer to join in the wedding party atmosphere, and travel on-board the vintage bus or coach to the reception, rather than in the isolation and added cost of a wedding car. Extreme pride is always taken in the appearance of our vintage buses and coaches, their qualities without question adding to the ambience of your special day. Let our dedicated and experienced Vintage Coach hire reservations team help you make the arrangements. They can give you advice on planning itineraries, routes and travelling times. At Sharpes of Nottingham, we know that allowing children to learn in places other than the classroom can be extremely rewarding, however for the teachers, it can be a stressful time with worrying about the logistics and organisation of a school trip. We have extensive experience in delivering safe, friendly coach hire for schools with over 100 years combined experience, and a wide range of vehicle sizes to suit all aspects of your School Trips and Excursions requirements. We are a preferred supplier to a number of the UK's largest Schools excursion companies, and our staff are well versed in making your school trip a day to remember. We also have extensive in house experience to assist with the organisation of all aspects of your trip requirements ; from Venue Tickets, to Accommodation, and Ferries or Euro Tunnel channel crossings. Let our dedicated and experienced coach hire reservations team help you make the arrangements. 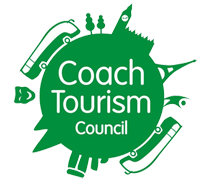 They can give you advice on planning itineraries, accommodation, routes and travelling times. They can also make recommendations on the type of Coach that best suit your travel requirements. Our fleet of 50 (35 Simultaneously Operating) vehicles are maintained to the highest standards to ensure that we achieve the required levels of passenger safety and comfort. Each vehicle is inspected on a 6 week rota basis, and we are classified by the DVSA, under the Operator Compliance Risk Score (OCRS) system, as a Green Operator – lowest risk. All private hire buses and coaches are fitted with seat belts for passenger/child safety, so that they can be utilised for all types of work. All our staff have received a clear enhanced DBS check, for Nottingham County Council. Therefore, you can be assured that the professional driver you hire with your coach is suitable to be working alongside children or vulnerable adults. Our minibus seats up to 17 passengers and is ideal for small groups. If you are concerned about the transportation of your Luggage, we are able to offer trailer hire, ensuring that all your party have sufficient space for their luggage and arrive in comfort. Our mini coach seats up to 33 passengers, and is a great choice for medium size groups with luggage. Our full sized coaches range in seating capacity from 49 to 83seats, and are a great choice for larger groups with luggage. We can provide transportation to all major airports across the UK including London Heathrow, London Gatwick, Birmingham, Manchester and East Midlands. For the ultimate in style & comfort, we would recommend selecting one of our Corporate or Platinum Class luxury vehicles for the longer distance journey, ensuring that you and your group arrive at the airport relaxed and with the minimum of fuss. We can offer a “Meet and Greet Service” within the Airport Arrivals Lounge, whereby our driver and/or Courier will meet your group. This service offers a great first impression for those visiting for the first time. Our minibus seats up to 17 passengers and is ideal for airport transfers for families or small groups. If you are concerned about the transportation of your Luggage, we are able to offer trailer hire, ensuring that all your party have sufficient space for their luggage and arrive in comfort. 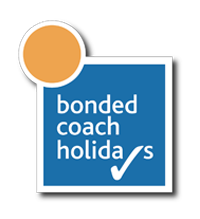 Contact our dedicated coach hire reservations team, they can give you advice on planning, routes and travelling times. They can also make recommendations on the type of coach that best suits your travel requirements.